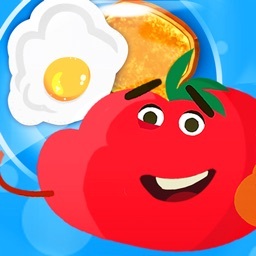 Snack Chef - Fruits Vs Veggies by Kinsane Entertainment Inc.
Tummies are rumbling. Mouths are watering. 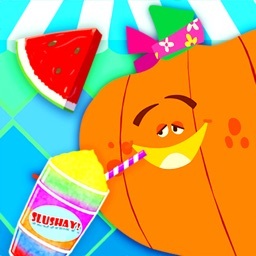 The Fruits and Veggies are hungry for a well-cooked snack. 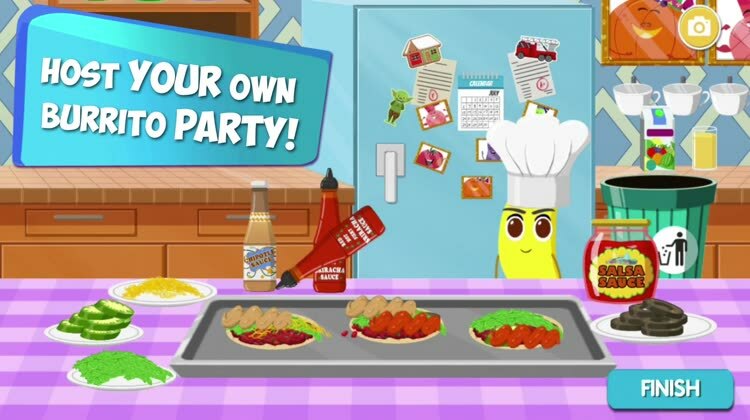 Embark on a mission to cook in the kitchen with the Fruits and Veggies - Nina the Banana, Kai the Pineapple, Addi the Potato, Quin the Cucumber, Han the Pumpkin and Otto the Tomato - as they go on a cooking craze! Han is excited to show you how to cook his Special Spaghetti. 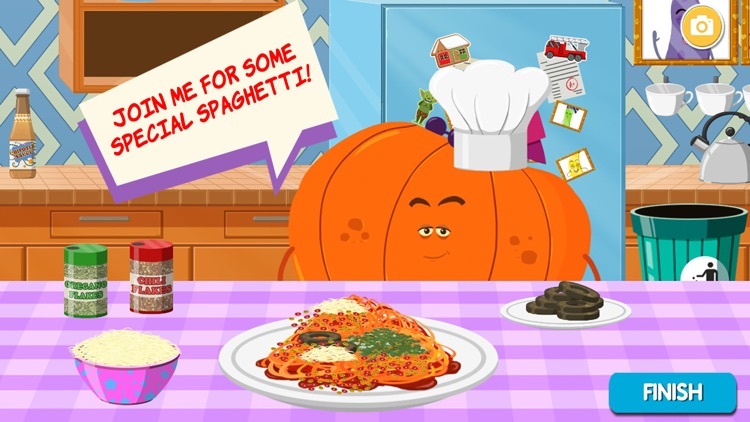 Join him in boiling spaghetti and mixing his super secret sauce! Mix it together and layer it with toppings to make it just right. But snack time isn’t over yet! 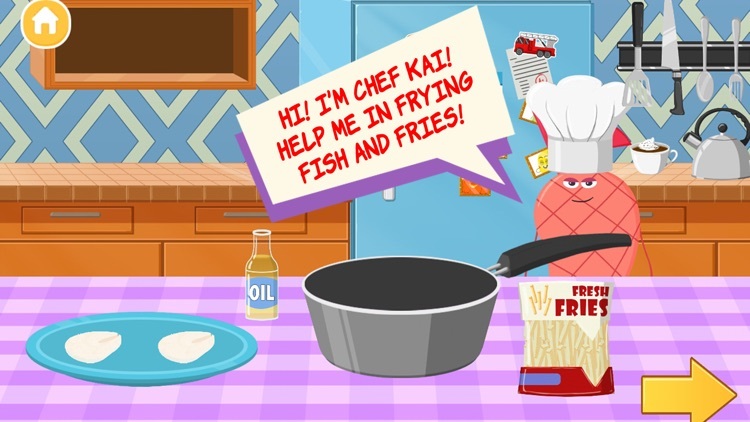 Join Kai for a plate of fantastic fried Fish and Chips. There’s a lot of fun to have here - mix the batter, marinate the fish and fry the chips! Top it off with a bowl of yummy gravy and you are cooking the perfect snack. Don’t forget to invite your friends to this cooking craze; there’s plenty for everyone. 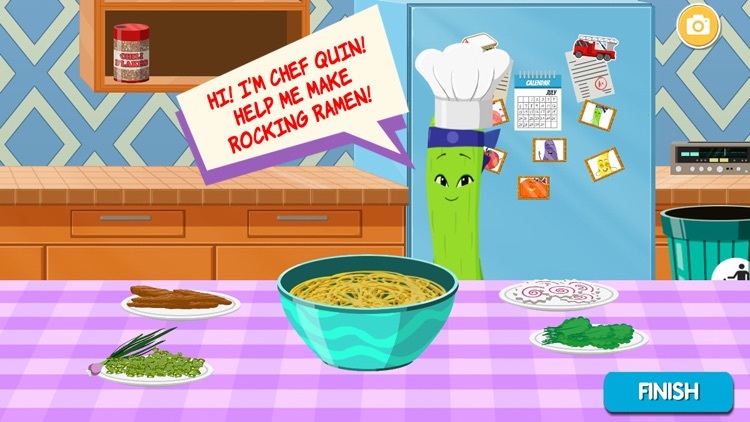 Quin needs your help with her Rockstar Ramen and you’re just the chef for the job. In this recipe, you boil noodles, roast chicken, make stock and put it all together to make a hearty bowl of noodle broth. Invite everyone to show off your master chef skills! 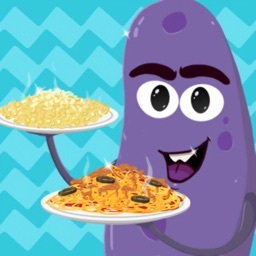 Otto’s idea of a perfect snack is a classic bowl of Mac ‘n Cheese! When you’re done, offer Kai a bowl - he’ll love it! Take a snack break and chat with Addi over a plate of his amazing Lasagna - made with love and richly layered with meat sauce, delicious tangy tomato puree and topped with oodles of cheese. Nina’s been experimenting! 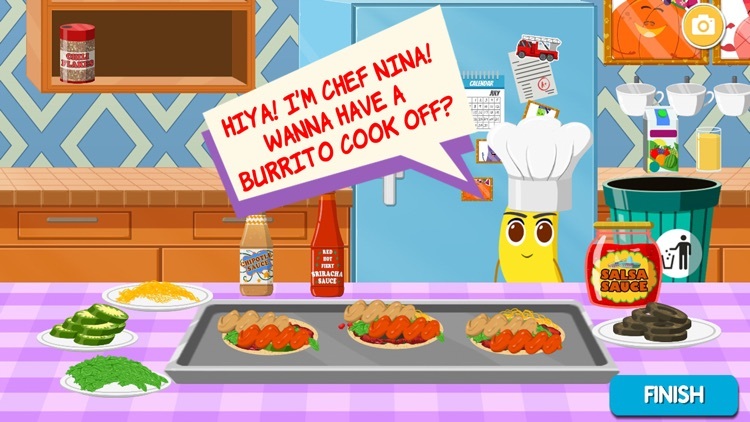 Join her in the kitchen to make the biggest, tastiest burrito around! 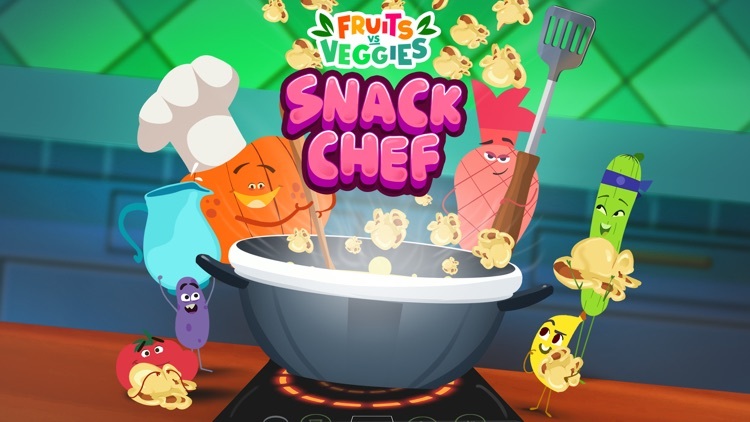 Fruits Vs Veggies: Snack Chef is a pretend play game that brings a hearty dose of everyone’s favorite meals to the world of the Fruits vs Veggies. 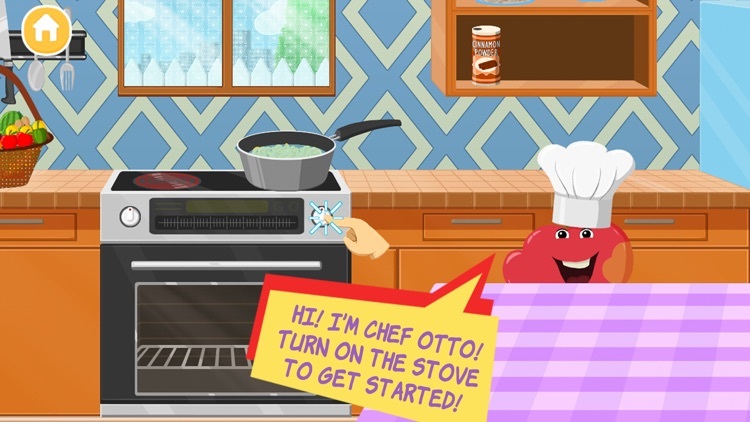 This cooking game is perfect for boys and girls of all ages. 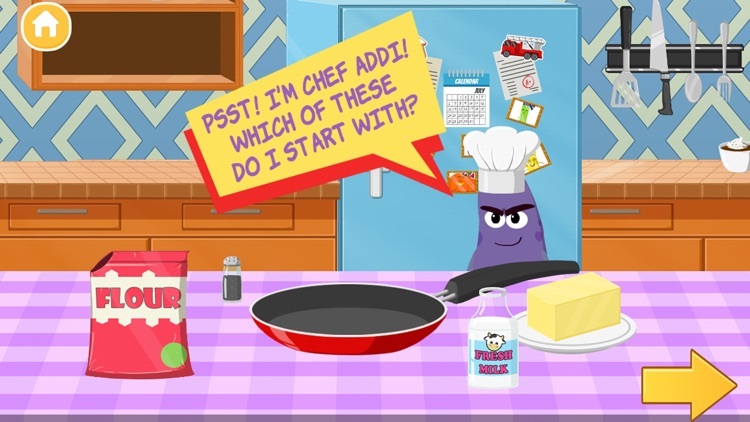 The kitchen is full of things to do - go wild and rearrange the utensils, snack on jam and cookies, gulp down juice and change channels on the TV...or they can play it neat and orderly by placing everything exactly where it should be! 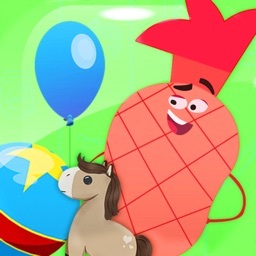 Whatever your kids decide to do, you can feel safe knowing this is a completely safe kid and baby friendly kitchen game. 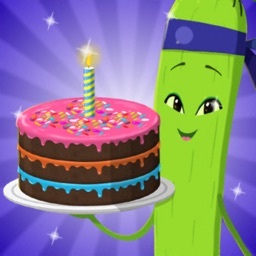 ● Make food, feed them snacks, arrange the kitchen, help them decorate - there’s so much to do! 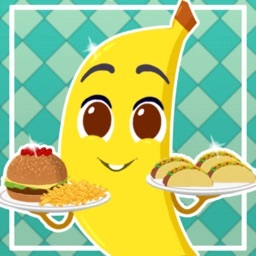 ● A variety of unique and distinct recipes – there is something here for everybody.